I loved the village feel, the amenities, the setting. Loved the feel of all the trees, the wildlife, the greenery. Location of the resort in the midst of tropical garden and so close to the beach.relaxed environment. Good location within walking distance to beach and shops. Comfy beds, nice tropical grounds. Lap pool was heated. Awesome 2brm unit, great kitchen with everything you need, washing machine and dryer, and a lovely balcony overlooking the huge tropical themed pool. 5 min walk to restaurants and beach. The apartment was well fitted, cool and livable. Love the TV service. Everything was super nice will book again. Defiantly get you money’s worth. Absolutely everything! Great clean modern apartment, awesome pool and great restaurant around. Thank you 🙏 very much. Well appointed rooms. DW powder and washing powder included. Washer, dryer and DW quality appliances. Nice linens, towels and personal products. Friendly,thoughtful and helpful staff. 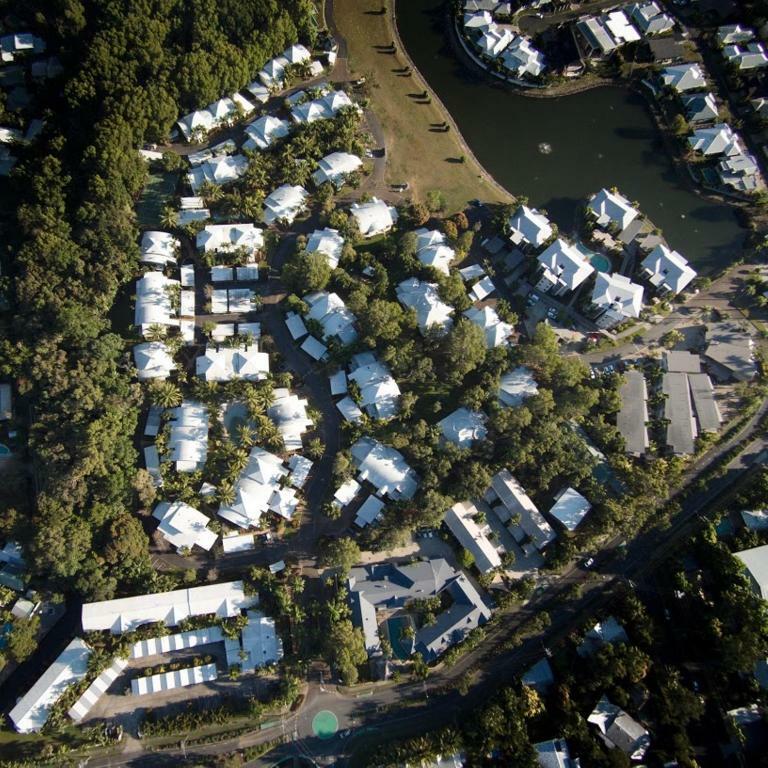 Lock in a great price for Marlin Cove Holiday Resort – rated 8.9 by recent guests! 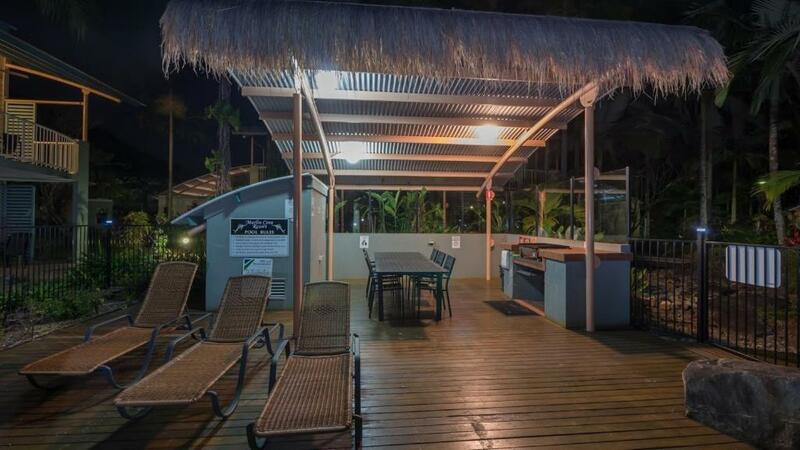 Marlin Cove Holiday Resort This rating is a reflection of how the property compares to the industry standard when it comes to price, facilities and services available. It's based on a self-evaluation by the property. Use this rating to help choose your stay! 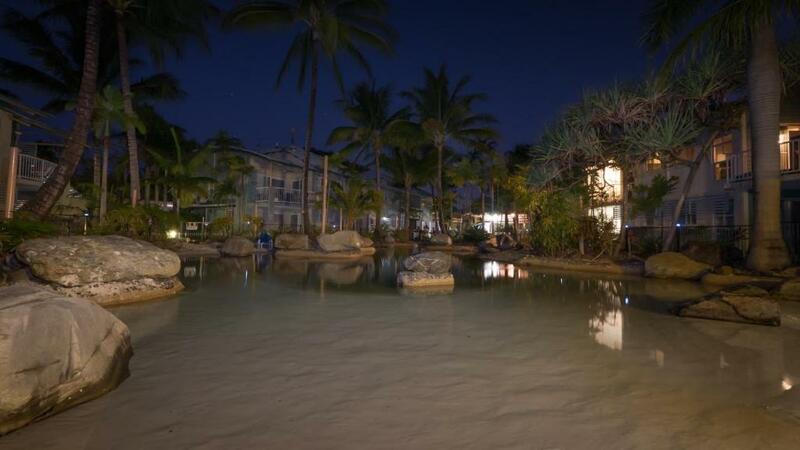 The 4-star Marlin Cove Holiday Resort is located on the Cairns' northern beaches, just a few minutes' walk from Trinity Beach. Guest facilities include a tennis court, an outdoor swimming pool, a lap pool, a spa and sauna. 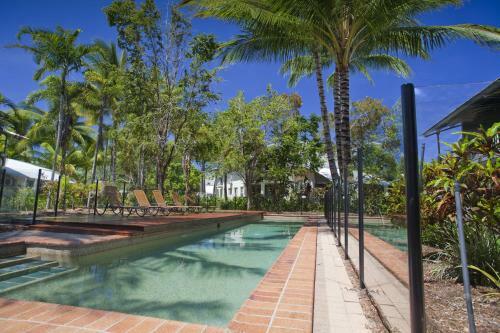 Ideally located for visits to the Great Barrier Reef, Marlin Cove Resort is on a 10 acre property. Guests can select from a variety of fully-contained apartments, surrounded by tropical gardens. 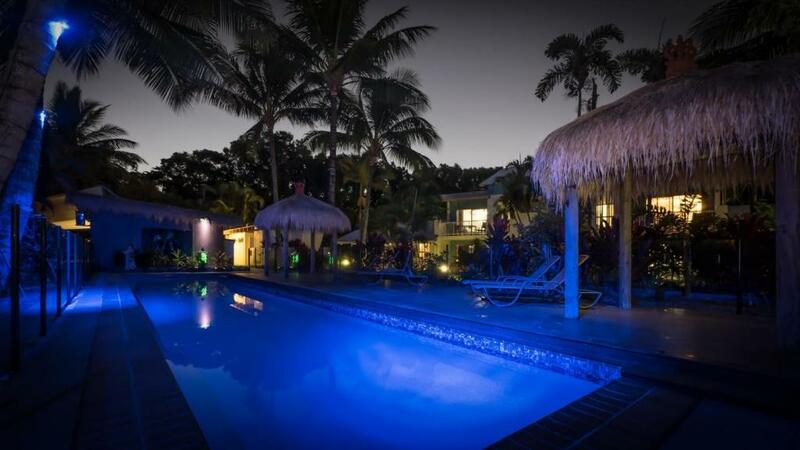 Marlin Cove Holiday is close to many of the region's attractions including the Daintree Rainforest, Paradise Palms Golf Course and Port Douglas. Guests can enjoy white water rafting, a journey on the Kuranda Train or view the rainforest canopy from the Skyrail. It is 15 minutes from Cairns International Airport and 20 minutes from the Cairns City Center. Recreation facilities include a games room with arcade games, a BBQ area, a library and DVD hire. 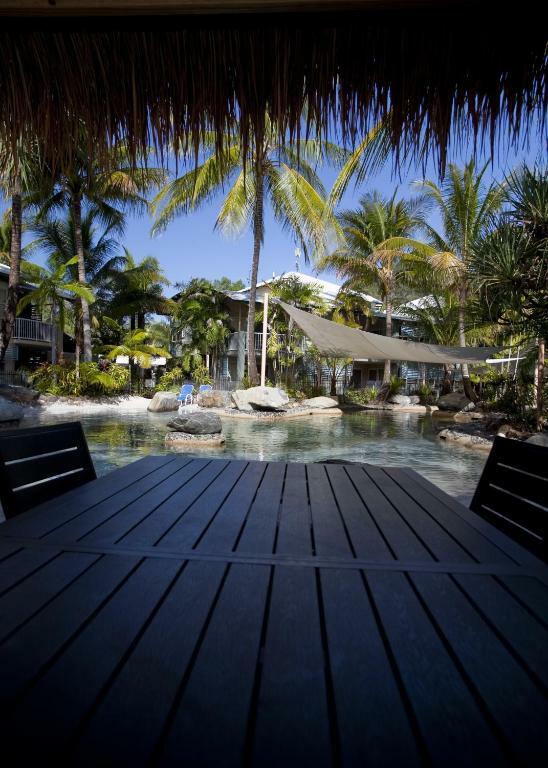 This is our guests' favorite part of Trinity Beach, according to independent reviews. 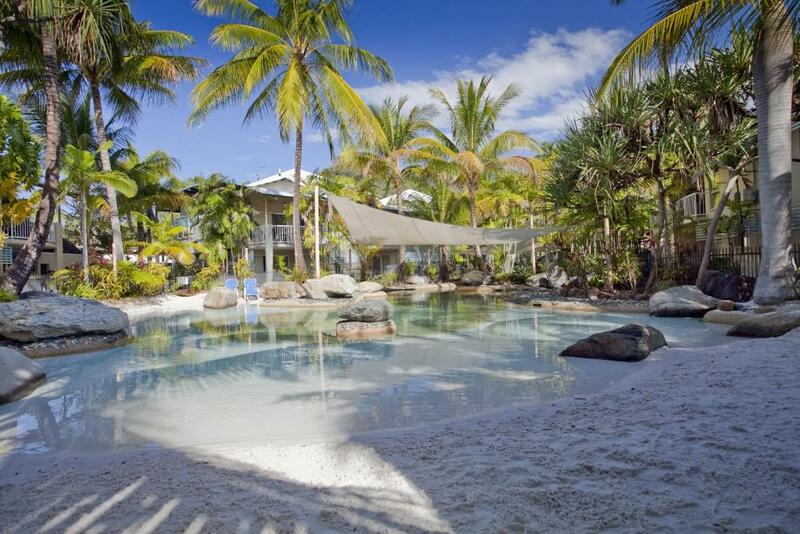 This property is also rated for the best value in Trinity Beach! Guests are getting more for their money when compared to other properties in this city. 뀐 Located in the top-rated area in Trinity Beach, this property has an excellent location score of 9.1! When would you like to stay at Marlin Cove Holiday Resort? This apartment features a balcony or patio, a fully equipped kitchen and a living area offering a flat-screen TV. Having lived, worked and played in the region for close to 10 years now, there's nowhere better I could imagine calling home! From boasting two world heritage listed areas, a virtual playground of adventure activities, world-class shopping, amazing foodie finds, a nightlife scene to rival the best - actually, we'll stop there or I'll run out of room. Let's just say I'm the one on the tour desk handing out piles and piles of brochures like a mad woman, getting increasingly excited if it's your first time to the region, or I get to show you something you've never seen before - come find me! Trinity Beach is like the cool Aunt of the Cairns Beaches - the relaxed, care-free, 'we-don't-mind-if-you-don't-wear-shoes-to-dinner-you-don't-eat-with-you-feet-anyway' bohemian personality of the region. Quiet and unassuming, Trinity Beach doesn't boast its charms, so much as lay them out on the palm-fringed beach and just let you calmly soak the days away in them. We host restaurants, a small shopping centre, parks, bush walks - and when we drag you out of your relaxed slumber for long enough to see the rest of the region, you'll find we're one of the most easy, centrally located areas you could have chosen to stay in. Good pick, you! House Rules Marlin Cove Holiday Resort takes special requests – add in the next step! 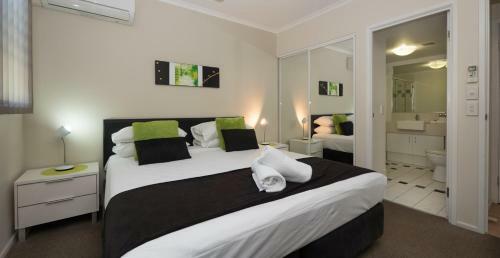 All children under 12 years are charged AUD 10 per night for extra beds. Marlin Cove Holiday Resort accepts these cards and reserves the right to temporarily hold an amount prior to arrival. Please note that guests are required to pay for their booking upon check-in. Was not cleaned very well, hairs in the bathroom toilet area. The shower head in the main bathroom was disappointing as it had mould on the inside of it it was very poor pressure and not fully functioning. The pool also had a lot of chemicals and caused a very bad reaction in both my partner and my eyes. But other than that the place is absolutely stunning. No big dislikes just after storm pools where not cleaned .but other than that great . IT WAS READY FOR US EARLY, IT WAS VERY CLEAN. Our designated undercover car space was taken and the owner disregarded the note left on their car by staff, leaving us to find somewhere else to park! The pool lights were not on until 10pm as stated making it very dangerous in the spa area. Lovely pool, very quiet surrounds, very enjoyable stay.